Stuffed chili peppers, stuffed jalepeno peppers, stuffed hot peppers, oh my! Cooking and grilling stuffed peppers has never been so easy. In fact, they are a rare species at outdoor barbecues and dinner parties. Be the first of your friends to offer stuffed peppers at gatherings. 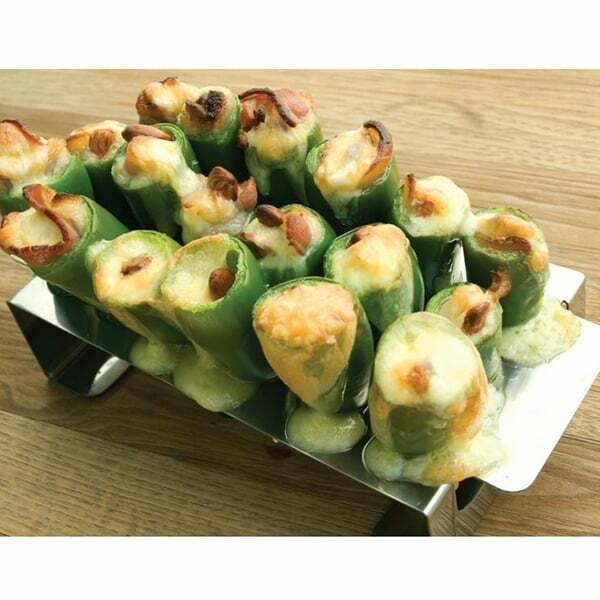 Friends will think you've spent hours to create such a unique finger food. You'll know how easy it truly was. 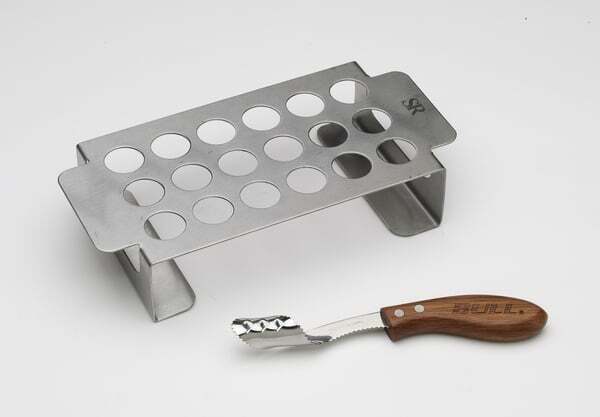 Feel free to keep the Chili Pepper Grilling Set as your little secret. 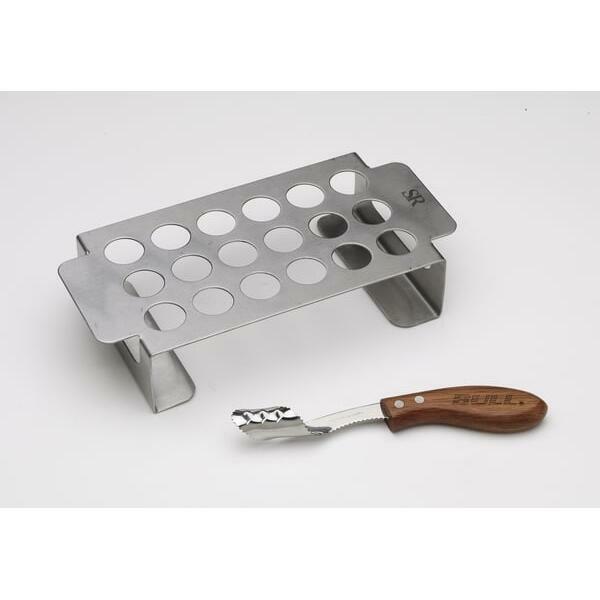 The Stainless Steel Chili Pepper Grilling Set by Bull Grills holds 18 stuffed peppers, or 18 of whatever you can slide into the openings. This unique grill accessory comes with a patented pepper corer and one recipe card.